Google needed to identify influential online authors but was having a very hard time with it. The trouble was that they couldn’t REALLY tell how many people were following the authors, if the authors were real people or not, and even worse, Google couldn’t tell which sites these authors contributed to. They needed to create a way for those authors to tell Google what content was theirs, what their guest-writing relationships were, and exactly how influential they are. How could Google convince these authors to freely hand over that information? Give them an incentive. Something that sets their content apart from the rest of the search results: a picture and a statement of how popular someone is by showing their follower count. Feed their vanity to get them to try it and let the side effect of skyrocketing CTRs get authors to tag everything. It worked. 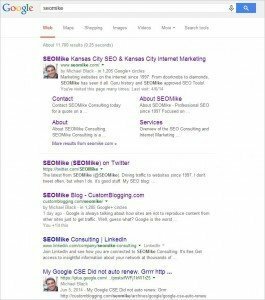 Google is removing the authorship picture and follower count from the search listings in the name of good UX. They are doing so to provide the same experience across all platforms. They don’t include authorship stuff in mobile results and Google knows that mobile is going to surpass desktop soon. They don’t want to dilute the experience for mobile users, so they’re diluting the experience for us all. Google say they have tested the impact and found that displaying the authorship info has no impact on CTR. Riiiiiiiight. The SEO community has solid data to show that when authorship tags are displayed in search results they lead to a 30-150% increase in CTR. Keep in mind that Google is only killing the CTR boost authors receive by removing the photos and circle counts. The rest of the ranking factors that come from authorship are still there. Don’t quit using it or you could see a drop in ranking. 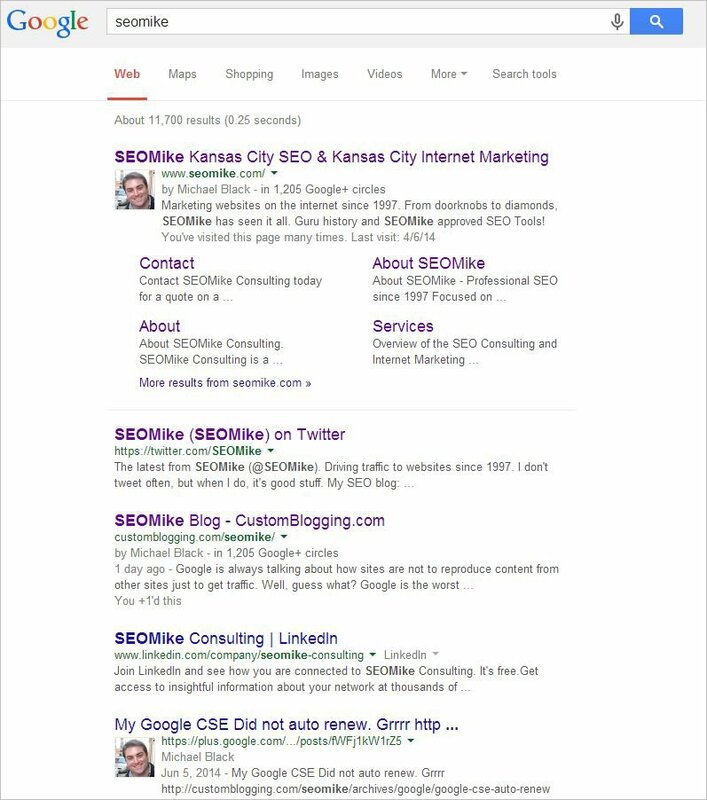 For Posterity: Google Authorship in the search listings. Just another great reason for paying Google for Adwords. They never had pictures, so why make the organic search results more interesting than their ads.